Your hosts…Diana from The Girl Creative, Melanie from Reasons to Skip the Housework, Rachelle from Fingerprints on the Fridge, Hani from Craftionary and Kimmie from Sugar and Dots. 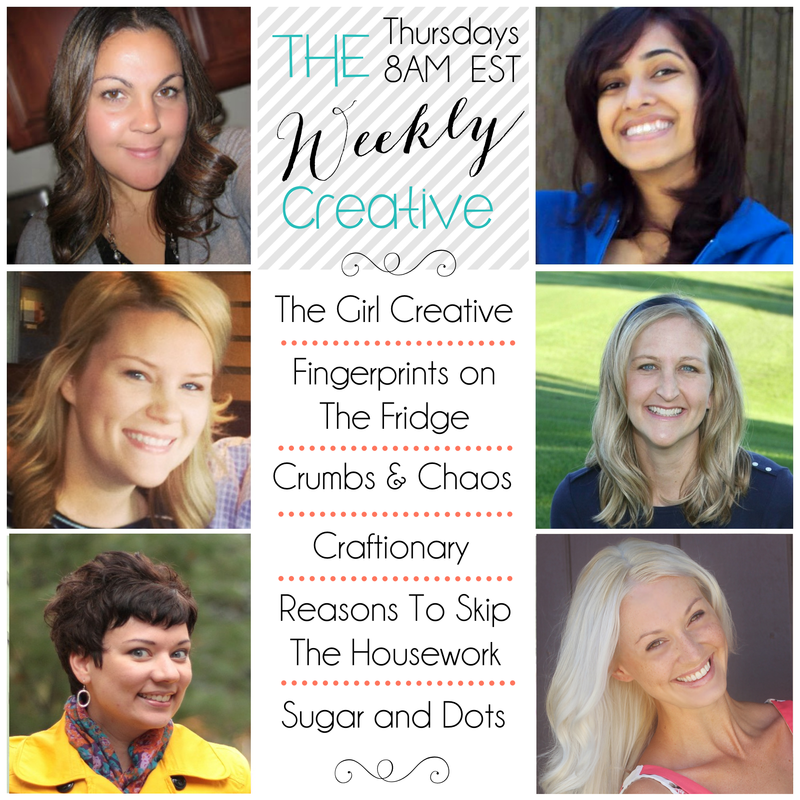 That’s 6 blogs showcasing your awesome creative creations! 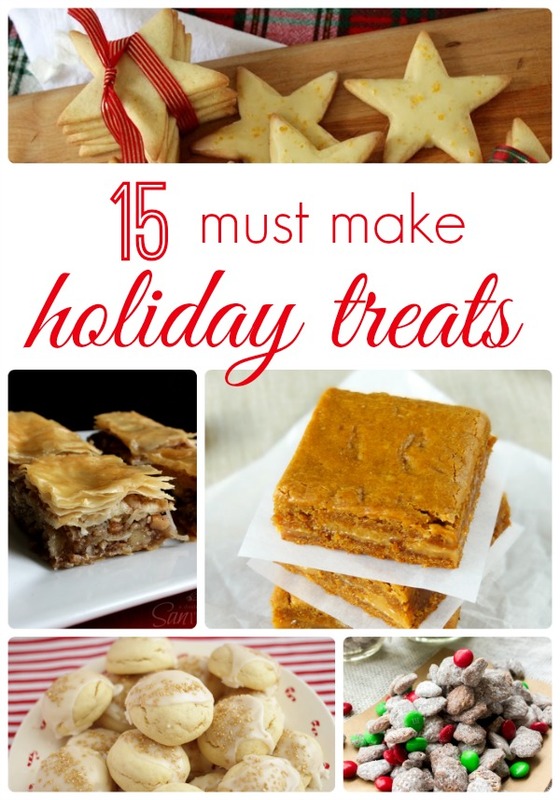 I chose 15 Must Make Holiday Treats to feature this week – be sure to stop over and check them out! Follow your party hosts in some way. Link back to us somewhere on your blog – we aren’t picky – party page, text link, whatevs! Text link, button link….anything you’d like! Spend some time visiting other links from this party. Everyone loves comments – and we can all admit that we don’t do it enough. Don’t just link and run. Go mingle and make some new friends! Thanks again for featuring me. Added a button to my home page. Love this party ladies! Elie @ OrganizerByDay recently posted..Easiest Christmas Chocolates Ever! You’re welcome, Elie! Thanks for linking up! Thanks for letting us sharing our ideas!! Have a great holiday! Thanks for stopping by! Merry Christmas to you!